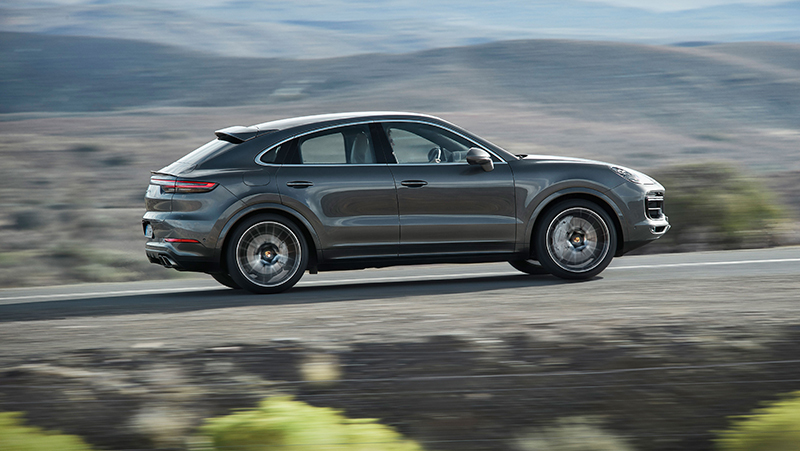 Topline: Despite gaining the "coupe" designation, the Cayenne didn't shed any doors. 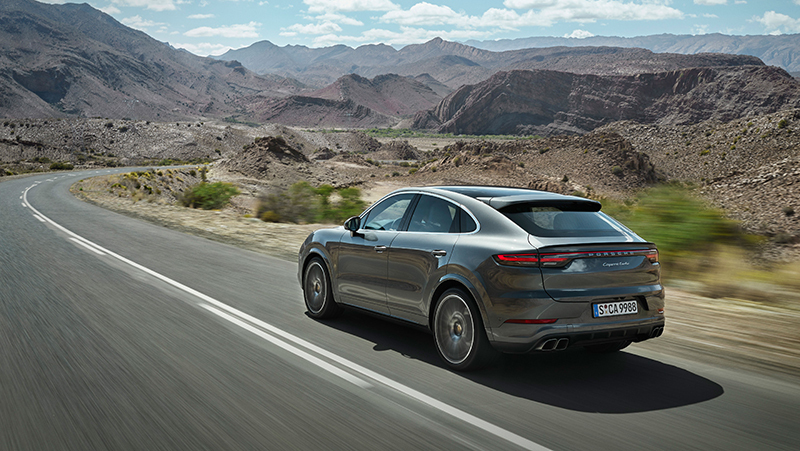 Porsche instead chose to focus on redesigning key features of the SUV to make it more sporty and aligned with the brand's vision of performance—with the biggest tweak being the Coupe's long, sloping Panamera-like roof and C-pillar. What’s new: Everything. 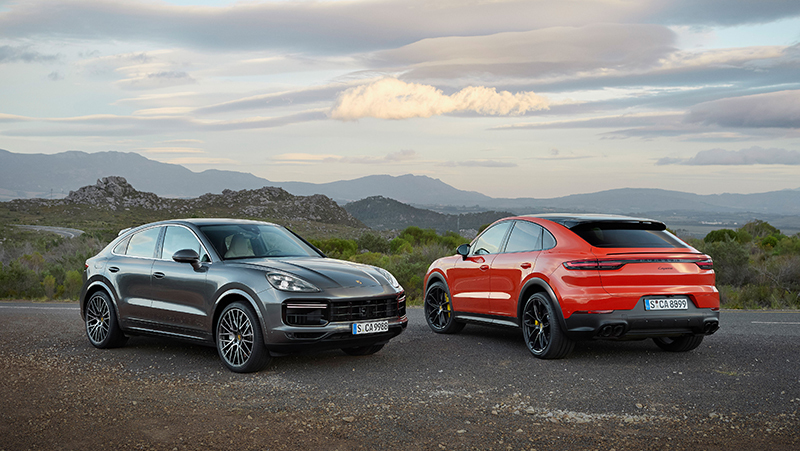 Two versions of the Cayenne Coupe will be offered: base and Turbo. The base will feature a turbocharged 3.0-liter V-6 that pumps out a respectable 335 horsepower and 332 pound-feet of torque; enough to propel the car from zero to 60 in 6 seconds flat and reach a top speed of 151 miles per hour. The sportier Turbo Coupe will offer 543 hp and 567 pound-feet of torque from a 4.0-liter twin-turbo V-8. It will make the same zero-60 mph sprint in just 3.9 seconds and feature a top speed of 178 mph—nearly the exact same as the "regular" Cayenne Turbo. While there are obvious power differences between the two, it's important to note that the SUVs will both share the same torque converter-equipped eight-speed automatic transmission. While no PDK option will be offered in place of a traditional auto, Porsche hopes that the vehicle's inclusion of all-wheel-drive will make up for it. 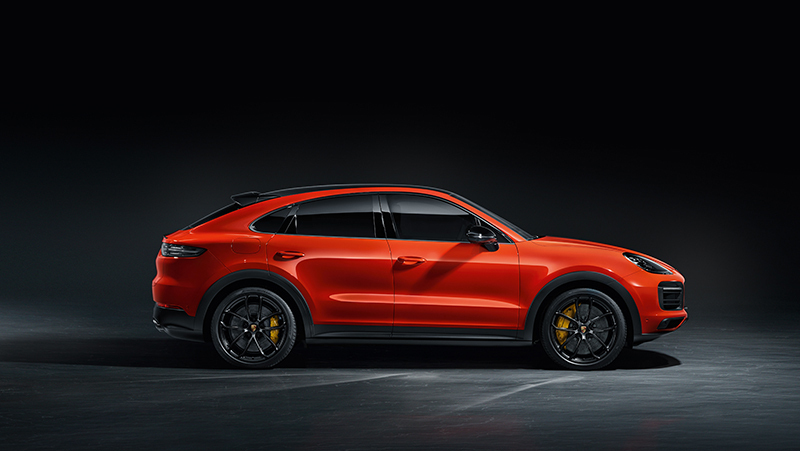 What you need to know: Those familiar with the Cayenne will first notice the Coupe's sharper body lines. Porsche intentionally styled the coupe to appear more agile and crisp, a must-have for affluent new dads looking to buy something for the family without giving up their need to have a sports car. The automaker also redesigned the Cayenne's rear-end, moving the location of the number plate from the center of the hatch to the bumper cover. 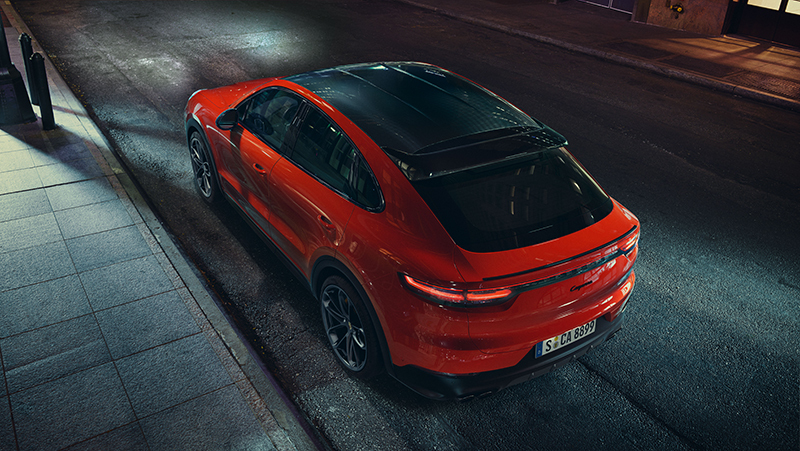 The Cayenne Coupe ships with a panoramic fixed glass roof as standard equipment, or can feature an optional carbon fiber top. 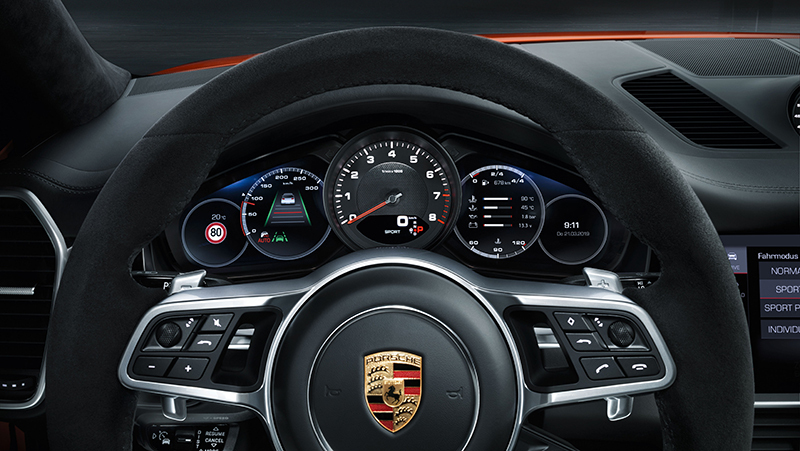 You might notice that the carbon fiber variant has a sport center seam which runs from front to rear; the automaker was sure to include this as a sporty option to mimic the characteristics of the infamous Porsche 911 GT3 RS. 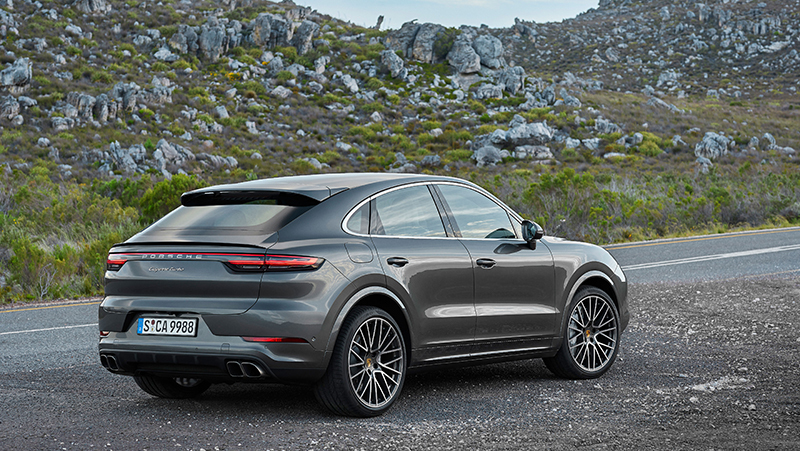 Porsche will also offer three optional sport packages with the Cayenne Coupe. 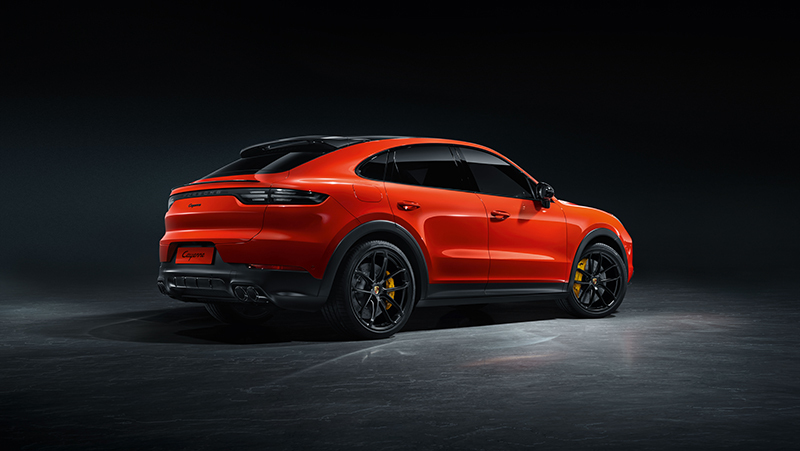 Depending on the options selected by the buyer, the Cayenne can be fitted with lightweight 22-inch wheels, a sports exhaust system, the carbon roof, and a number of carbon fiber and checkered styling bits accenting the interior. Speaking of the interior, Porsche also made it a point to design every single one of its seats (including the rear) akin to what one might find in a sports car. 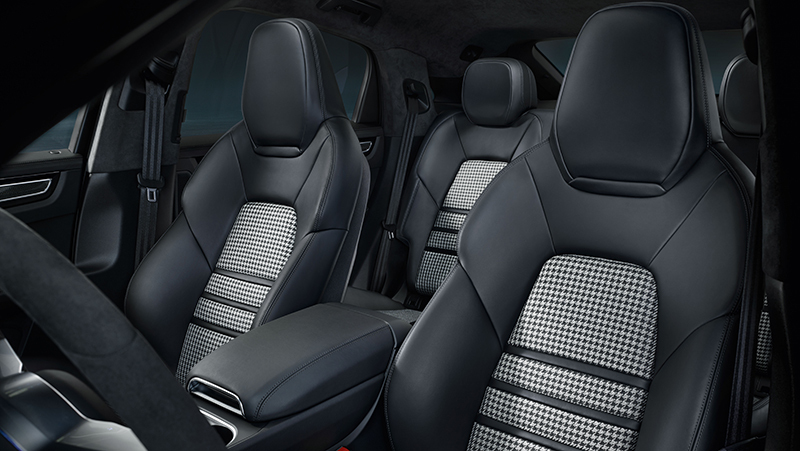 The front seats will feature Porsche's typical eight-way adjustable heated sports seats. The rear bench has been converted to house two sports-style seats, giving the rear occupants a snug feeling of going along for a ride in the passenger seat of a sports car. 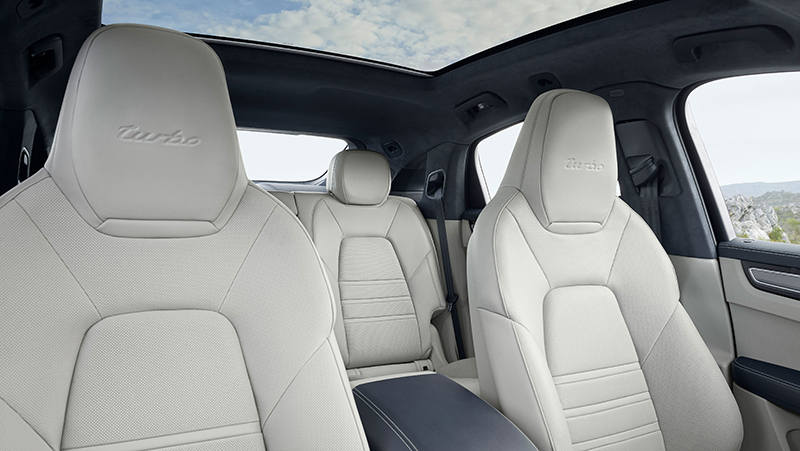 But don't worry — if comfort is your thing, Porsche will allow you to order a standard Cayenne rear bench seat to substitute. Porsche says that it will begin taking preorders of the Cayenne Coupe immediately. Base pricing will cost buyers $73,500, while the Cayenne Turbo Coupe breaks the bank at $130,500. 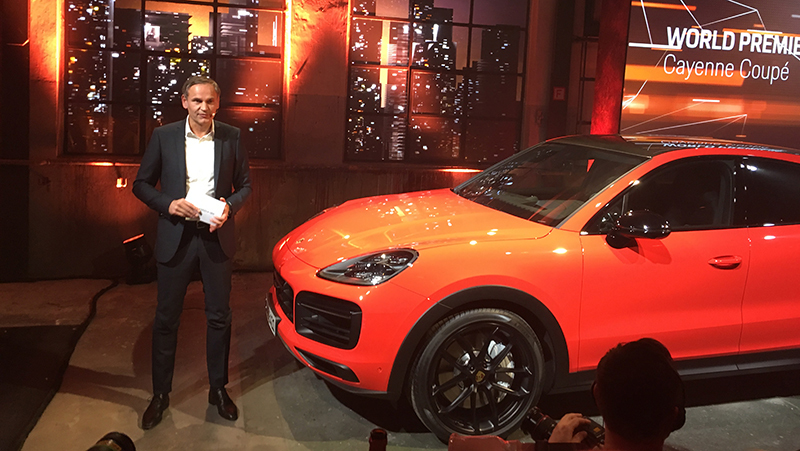 Germany will get priority on the delivery of the Cayenne Coupe, initiating deliveries as early as late May 2019. The U.S. is expected to begin deliveries in Fall of 2019.